English Teaching Zone: Challenge your students with dartboard games! Darts is a form of throwing game in which darts are thrown at a circular target (dartboard) fixed to a wall. Though various boards and rules have been used, the term "darts" usually now refers to a standardized game involving a specific board design and set of rules. So why not taking advantage of this well-known game and challenge your students in your ESL classes? I describe below two games I have already tried and they proved to work very well! Suggestion 1) One game you could do is to draw a dart board on the board and fill the spaces with some of the alphabet letters. Then, have students throw a paper ball at the board and whatever letter it touches, they must make a word beginning with that letter. How many letters that word has are points; e.g. apple would be 5 points, alphabet would be 8 points and so on. Suggestion 2) Play and enjoy this simple Question and Answer revision game with your students. It works well with students of all ages and levels. To play this game, draw a target on the board with points on it, much like a dartboard.For darts, you can use a small soft ball,paper ball or paper airplanes. Divide the class into two teams. Ask a revision question to the class. The first student to answer correctly can throw a dart at the target. Wherever the dart hits correlates with the amount of points won for that team. Another suggestion is to have a student come up from each team and throw a dart. The highest score would then get to answer a revision question, and if they are correct they would keep the points they scored. That is really interesting information. 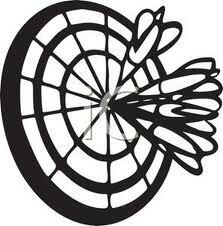 We provide Darts services at Southport BC,Australia and we dispatch darts and dart boards all over Australia. Please do visit at our website or contact us any time, we would love to help you. YES!! Gangnam Style for English classes!! !